Analysis of a 3.3 million-year-old fossil skeleton reveals the most complete spinal column of any early human relative, including vertebrae, neck and rib cage. The findings, published this week in the Proceedings of the National Academy of Sciences, indicate that portions of the human spinal structure that enable efficient walking motions were established millions of years earlier than previously thought. 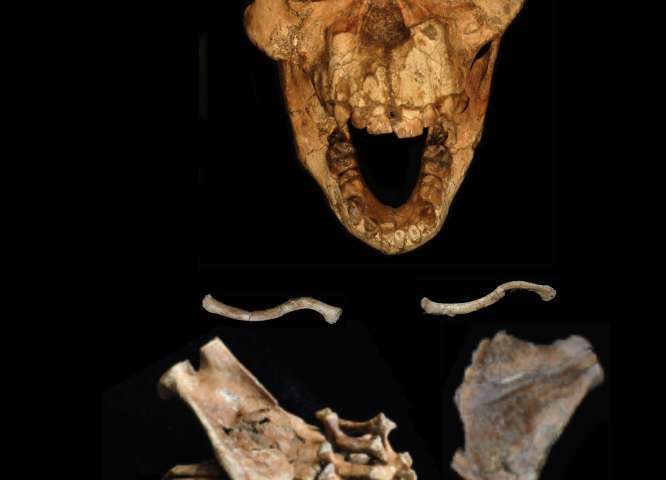 The fossil, known as "Selam," is a nearly complete skeleton of a 2½ year-old child discovered in Dikika, Ethiopia in 2000 by Zeresenay (Zeray) Alemseged, professor of organismal biology and anatomy at the University of Chicago and senior author of the new study. Selam, which means "peace" in the Ethiopian Amharic language, was an early human relative from the species Australopithecus afarensis—the same species as the famous Lucy skeleton. In the years since Alemseged discovered Selam, he and his lab assistant from Kenya, Christopher Kiarie, have been preparing the delicate fossil at the National Museum of Ethiopia. They slowly chipped away at the sandstone surrounding the skeleton and used advanced imaging tools to further analyze its structure. "Continued and painstaking research on Selam shows that the general structure of the human spinal column emerged over 3.3 million years ago, shedding light on one of the hallmarks of human evolution," Alemseged said. "This type of preservation is unprecedented, particularly in a young individual whose vertebrae are not yet fully fused." Many features of the human spinal column and rib cage are shared among primates. But the human spine also reflects our distinctive mode of walking upright on two feet. For instance, humans have fewer rib-bearing vertebrae - bones of the back - than those of our closest primate relatives. Humans also have more vertebrae in the lower back, which allows us to walk effectively. When and how this pattern evolved has been unknown until now because complete sets of vertebrae are rarely preserved in the fossil record. "For many years we have known of fragmentary remains of early fossil species that suggest that the shift from rib-bearing, or thoracic, vertebrae to lumbar, or lower back, vertebrae was positioned higher in the spinal column than in living humans. 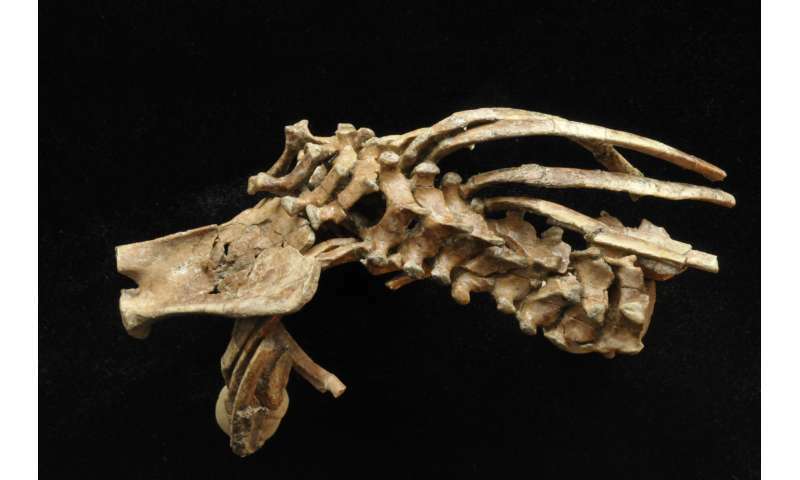 But we have not been able to determine how many vertebrae our early ancestors had," said Carol Ward, a Curator's Distinguished Professor of Pathology and Anatomical Sciences in the University of Missouri School of Medicine, and lead author on the study. "Selam has provided us the first glimpse into how our early ancestors' spines were organized." In order to be analyzed, Selam had to take a trip. She traveled to the European Synchrotron Radiation Facility in Grenoble, France, where Alemseged and the research team used high-resolution imaging technology to visualize the bones. 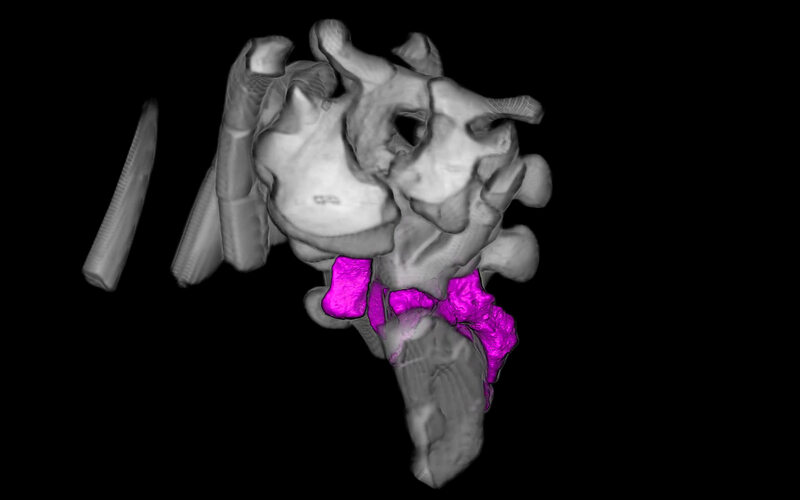 "This technology provides the opportunity to virtually examine aspects of the vertebrae otherwise unattainable from the original specimen," said coauthor of the study Fred Spoor, a professor of evolutionary anatomy in the Department of Biosciences at the University College London. The scans indicated that Selam had the distinctive thoracic-to-lumbar joint transition found in other fossil human relatives, but the specimen is the first to show that, like modern humans, our earliest ancestors had only twelve thoracic vertebrae and twelve pairs of ribs. That is fewer than in most apes. 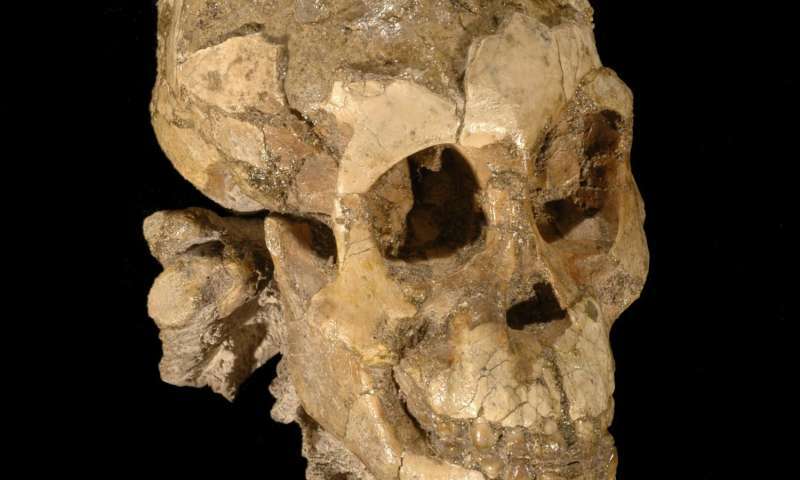 "This unusual early human configuration may be a key in developing more accurate scenarios concerning the evolution of bipedality and modern human body shape," said Thierra Nalley, an assistant professor of anatomy at Western University of Health Sciences in Pomona, California, also an author on the paper. This configuration marks a transition toward the type of spinal column that allows humans to be the efficient, athletic walkers and runners we are today. "We are documenting for the first time in the fossil record the emergence of the number of the vertebrae in our history, when the transition happened from the rib-bearing vertebrae to lower back vertebrae, and when we started to extend the waist," Alemseged said. "This structure and its modification through time is one of the key events in the history of human evolution." Don't tell the chiropractors. They'll imagine prehistoric subluxations and try to crack it. I'm not sure how they can get the pre-humans to come back for more treatments, but they'll probably give it a try.